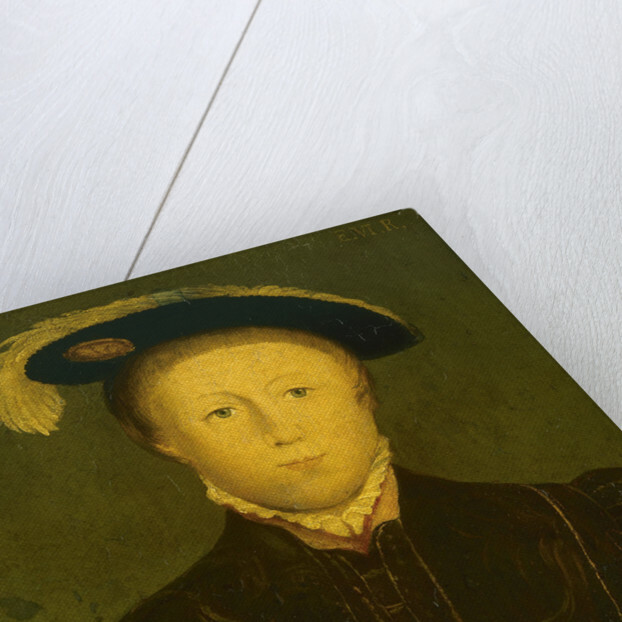 This portrait shows Edward as a prince aged about five. 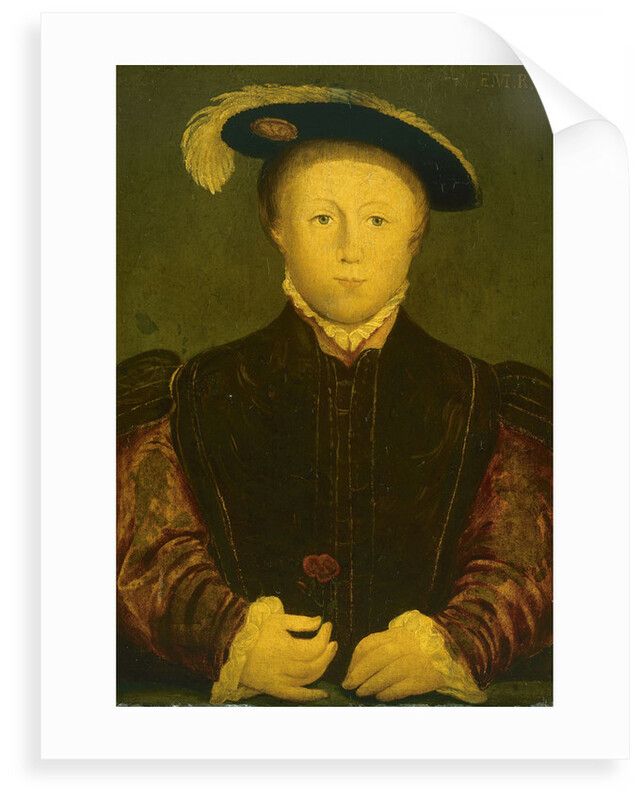 His clothes and pose recall Holbein's portraits of his father, Henry VIII. 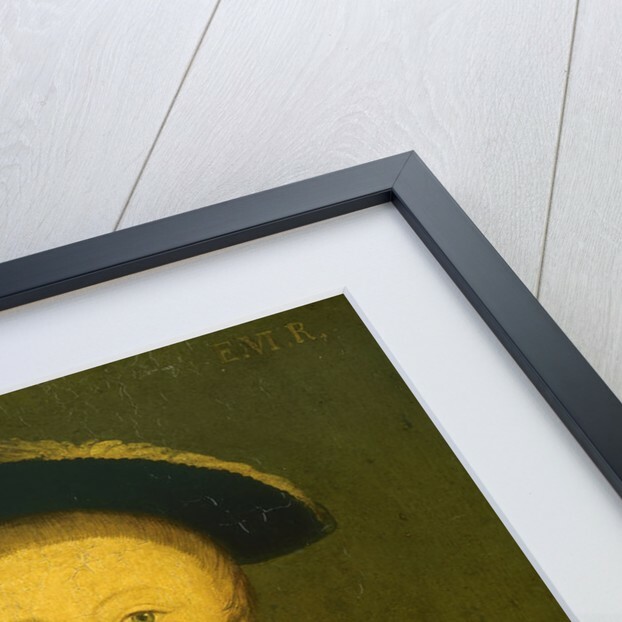 The source for the frontal pose, which became one of the standard representations of the young king, derives from a drawing by Hans Holbein now at Windsor Castle. 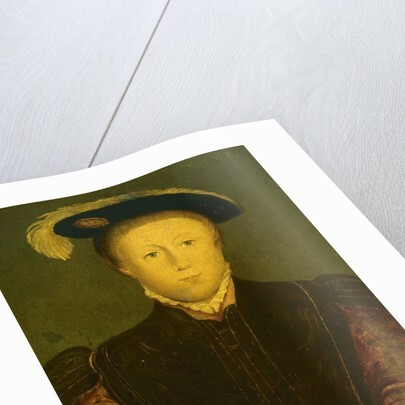 The portrait probably once belonged to a set of images of monarchs produced for display in the long gallery of an English country house, and like many panel paintings of the period the image served as a record rather than a work of art. It was nevertheless designed to appear impressive and the artist has used a large amount of gold paint, particularly in the sleeves. 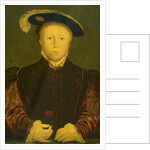 The portrait has recently undergone conservation treatment to remove later overpainting. More by the artist Hans Holbein.